An introduction to the fields of Paleobotany and Palynology for undergraduate students in Geology, Biology and Geography. The book approaches fossil plants from systematic, taxonomic, stratigraphic, structural, paleogeographical and paleoecological points of view, with detailed descriptions and drawings. Dragastan, O., Damian, R., Popa, M.E., 1997. 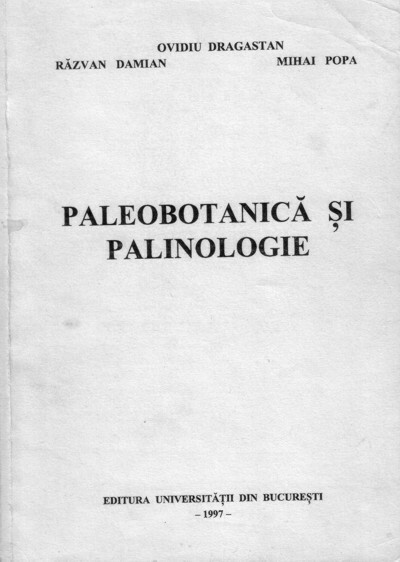 Paleobotanica si Palinologie, 1 ed., 210pp., Editura Universitatii din Bucuresti, Bucharest. Chapter 7. Elements of paleophytogeography.